Self Catering Accommodation and rooms to rent close to the historic city of Lancaster. Extensive grounds offering picturesque woodland walks and nature trails resplendent with wildlife and breathtaking views across the River Lune. The cottages have spacious and stylish interiors with solid oak floors, Log burners and French doors opening onto a walled garden. Bright and airy rooms with modern and comfortable furnishings. Ashton Hall Cottages welcome pets. Three 4 Star accredited self catering holiday cottages set in their own extensive grounds on the Ashton Hall Estate, offer a restful retreat within a perfect setting for your stay. The cottages are spacious, fully equipped with ground level amenities. Ideally placed for walking, cycling, golfing, fishing and exploring the Lancashire coastline the cottages provide a perfect base for when you plan your visit to the area. Located within minutes from the city of Lancaster and Lancaster University and junction 33 of the M6 motorway. 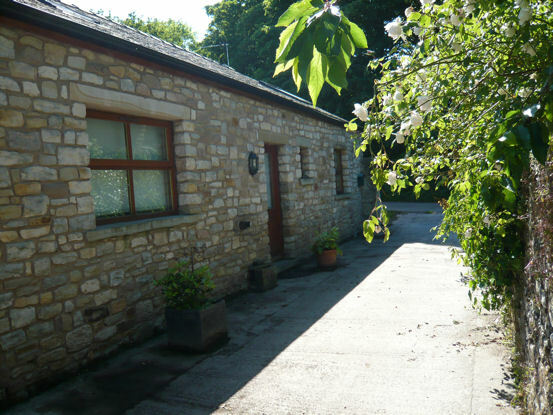 The cottages are also ideally located for the Lake District, Yorkshire Dales, Blackpool and Morecambe which are all within a short drive. Our Room Only accommodation is available in Parsley Cottage and priced per night. The spacious double rooms feature attractive décor with en-suite bathrooms, welcome tray with tea & coffee making facilities, TV and WiFi. How to Book - contact us now. Midweek Prices, Monday to Thursday from £280.00 per cottage. "So nice to be able to walk from the cottages along the coastal path to the local pub without going on the roads and return to a warm cosy fire! Mr and Mrs Dwain Pennsylvania. Payment by Credit & Debit cards accepted.